Whether you agree with his political views or not, there is no doubt that Donald Trump is a master at verbal fencing. If you want to solidify your role as a leader, it pays to learn some of the following techniques from the Trump arsenal. Arnold Schwarzenegger is famous for his use of psychology to put his opponents off balance. Back in his bodybuilding days, he would ask his opponents things like “are you sick?” When his opponent would reply in the negative, Schwarzenegger would say that he was concerned because the opponent looked gaunt. In bodybuilding, physical appearance is everything so Schwarzenegger’s comment would plant a seed of doubt in his opponent’s consciousness. It would just be enough to make the opponent less confident in himself and therefore less enthusiastic on stage. In a competition where all of the competitors are coming in at peak condition, a lack of confidence could mean the difference between winning and losing. Trump has recently done some brilliant things to get under the skin of opponent Marco Rubio. The ad does two things. It helps persuade voters that Rubio is an overly ambitious political shill who will represent his donors rather than voters, and it also hits Rubio right where it hurts—his ego. 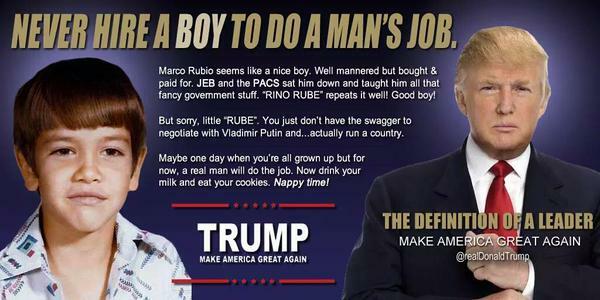 Trump is using this ad to get under Rubio’s skin to unbalance him just enough that he will make a mistake. Even if Rubio doesn’t make a mistake, it is likely that his annoyance will come through in the debates. On the surface, these seem like childish pranks, but they are actually good psyops. 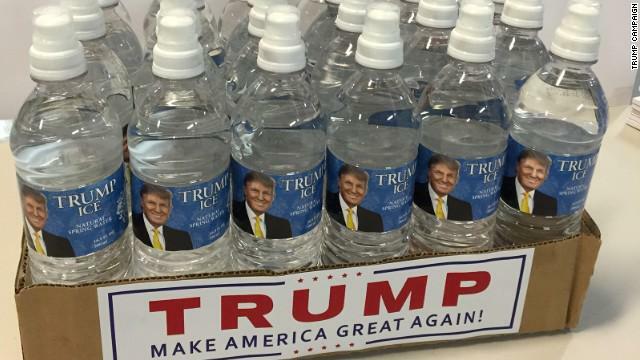 You can bet that Rubio is going to be hyper conscious about sweating during future debates and appearances. It is not enough to get rid of Rubio, but it is going to be in the back of his mind. It is just enough to throw him off balance. A. Say something good about yourself. A’. Say something bad about opponent. A recent example of this is Trump’s swipe at Biden’s history of plagiarism. Note how Trump puts Biden on notice that if he chooses to run, Trump will air all of Biden’s dirty laundry. This not only undermines Biden’s credibility, it also strongly discourages Biden from announcing his candidacy. Another way that Trump undermines credibility is to point out stupid mistakes that his opponents make. 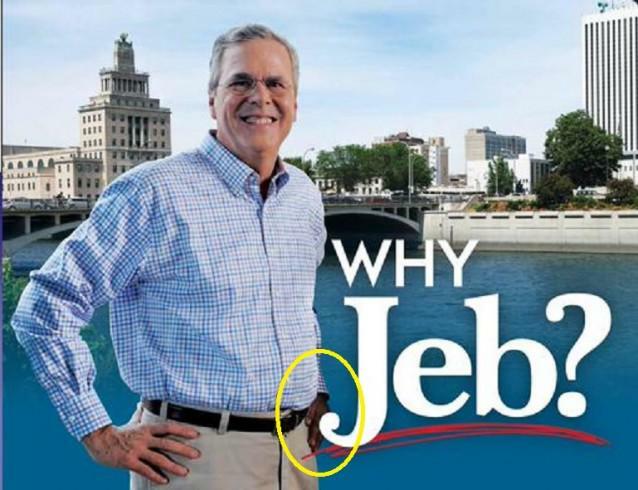 Take the incident where the Jeb Bush campaign put out a photoshop of their candidate with a black hand. Trump jumped on the mistake immediately to prove his rival’s incompetence. Trump fans quickly started running with the ball. Another way of verbally disarming people who are attacking you is to throw them off balance. This can be done by pointing out a weakness in the person’s arguments or simply a flaw that the person has. This puts the attacker on the defensive and throws them off balance. It makes additional attacks less likely, and when they do come, they are a little bit less coherent. The following interview is a good example of the way Trump does this. Because Trump doesn’t goose step to the progressive narrative, the female reporter takes a very aggressive approach to the interview. Compare her style to the soft, deferential style used by “journalists” when they interviewed Obama back in 2007. The whole interview is valuable as it demonstrates several of the techniques that I mention in this post, but one way that Trump throws the reporter off balance is to catch her using an inappropriate word at 21:00. He treats her like a little girl thus establishing the relationship on his terms. A little bit prior at around 19:00 he also chides her for thinking she is a great reporter for bringing up a point that he has already addressed. Again, it puts the reporter in her place—she’s clearly out of her depth here. Trump’s attacks look spontaneous. Some of them are. There is no question that the man is intelligent and witty. But his best attacks are the result of careful research. Trump’s response only works because he’s taken the time to find out about the financial status of the paper. By knowing his opponent’s weakness, he simultaneously negated its attack on him, undermined its credibility, and made it less likely that it would get a buyer. This may be the most important lesson that Trump has to teach us. For decades, conservatives have been on the ropes because whenever they try to oppose a progressive policy, they are accused of being racists, misogynists, or homophobes. And every time they are accused, they apologize, back down, and let the progressives win. Trump has changed the entire dynamic. Thanks to him, we are now free to let our statements stand without accepting the offensive label that progressives have tried to brand us with. For instance, Trump mentioned that one of the reasons that Jeb was so big on providing an amnesty for illegal immigrants was because Jeb’s wife is from Mexico. During the second debate, Jeb affected the stance of an injured spouse and demanded Trump apologize to him and his wife. According to the white knight script, Trump should have apologized to m’lady and walked his words back. Jeb would have won the exchange. Instead, Trump refused to apologize because he said he didn’t do or say anything wrong. This wasn’t the response that Jeb had expected, and it left him there awkwardly trying to recover from the unexpected response. Trump is quick to say kind things about people who have supported him. A prime example of this is fellow candidate Ted Cruz. While the other presidential rivals have attacked Trump’s positions, Cruz has come out in favor of those positions. While Trump can’t endorse a rival candidate, he’s had nice words to say about Cruz, and he has never attacked Cruz. On the other hand, when someone attacks him, Trump always returns fire. And his return attack is ferocious. It is not meant to merely damage, but to utterly destroy his enemy. This was the case when Trump opened the second debate by attacking Rand Paul’s extremely low poll numbers. This salvo was fired in response to the jabs that Paul had been throwing at Trump prior to the debate. Trump’s record of being kind to his friends and ferocious with his enemies means that potential enemies think twice before attacking him. A good example of this is popular talk show host Wendy Williams. Williams, who is black, has come out and said that she supports the Democratic Party, and while she is not terribly political, she does favor all the standard liberal issues like gay marriage and anything President Obama. Recently, Wendy had CNN’s Don Lemon on her show to discuss his interview with Donald Trump the night before. My wife, who is a big Trump fan, recorded it to see what Williams would say about Trump. Surprisingly, while Williams again professed to be a Democrat who would never vote for Trump, everything she actually said about him was very flattering. Why the deference? It could be that Williams, who like Trump is a successful business person and media star, simply recognizes that Trump does what he does very well. But I suspect that Williams deference is also the result of wanting to stay on Trump’s good side—a testimony to effectiveness of the “kind to your friends, ferocious with your enemies” approach. Of course, most of us are not running in a political race, so these techniques need to be adapted to our own situations. Still, these techniques are effective whether you are navigating the political situation in your office or opposing progressives on the internet. I don’t know what his political views are but I read on the internet a quote where he said he would date his own daughter if weren’t her father. He’s useful for Reactionary ends. He will shift the Overton window right for SOME people, and those people need to be targeted for recruitment. He’s shown us that a lot can be done in a very short period of time. I hope he wins, but if he doesn’t it may be even more interesting. The people who have woken up are not going back to sleep. I just discovered your Web site. 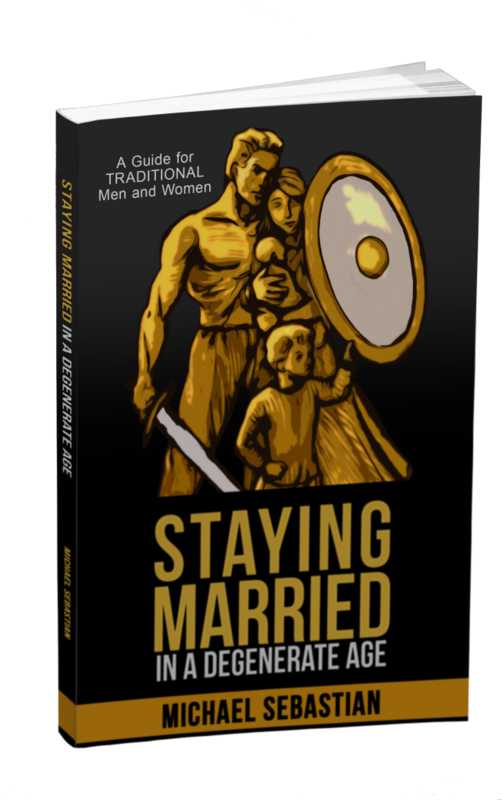 As a victim of divorce, a fellow Catholic, and a (non-practicing) fellow attorney, I was excited to see some of the things that you were writing for the world, and I looked forward to reading your book about marriage and family. Unfortunately, my excitement did not last long. I was extremely disappointed to see your column about Donald Trump. Mr. Trump is the polar opposite of nearly everything that you espouse. Being a bully, a bigot, a liar, a narcissist, an egoist, and a misogynist is not being a strong man. Attacking (real) conservative politicians is not fighting liberalism. Cheating on one’s wife, divorcing her, and marrying one’s mistress is not pro-marriage or pro-family. Mr. Trump’s words and actions fly in the face of Catholic theology. Jesus Christ was a real man, and Mr. Trump is the opposite of him. I understand a desire to want to support Mr. Trump, but please consider reconsidering your opinion of him. I am not simply trying to change your vote or your opinion; I want your other opinions, which seem very good, not to lose their credibility because of your opinion of Mr. Trump. Thanks for your thoughtful comment. My support for Trump stems from the fact that I no longer believe in the conservative versus liberal dichotomy. I’ve come to see conservatism as a sort of pseudo-opposition in that it conserves nothing. The conservatism of today is the liberalism of 20 years ago. It is always going to be that way. Instead, we need to chose another way forward. That is, at root, what this blog is about. In the meantime, we need to prevent as much damage as possible from the what the left (and the fake opposition) is throwing at us, namely weaponized diversity. Trump is far from perfect but his mildly nationalist policies are more conducive to giving us space to breath than the Democrats. This was an amazing interview for Trump he totally outfoxed the reporter he thrives on people being negative against him because it re-enforces his message if she was nice it would be good but we see how tough this guy is . Imagine him negotiating for real with world leaders and such. People like Putin are like Trump the like a challenge, although Obama is a dunce compared to Putin Trump is a master I think when it comes to Trade and relations. In regard to the interview we see the reporter used the word pissed to refer to him tresting world leaders. This showed his dominance of the interview and how he got under her skin. She tried to take control at the end when we heard him complain she was so negative by extending the interview with a so -called positive question for few more minutes but it just gave Trump more power and was able to once again re-enforce his message Jeb bush=LOW energy Hillary Clinton=incompetence. This interview was a master class in how to turn the interview on the interviewer.